These self-adhesive lapping films consist of a tough 125 micron thick (1/8 mm) polyester film with a uniform and waterproof diamond coating. The diamond grain coating permits a precise finish on even very hard surfaces. 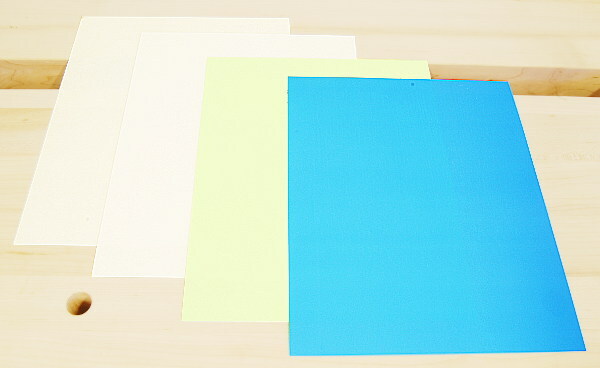 Besides tools, these films can be used with many different materials such as metals, plastics, rubber, and wood. Use with oil or water is possible as well as with all commercial sharpening lubricants. We recommend wetting the surface during use, as dry use leads to high wear. Also, wet application allows for the creation of smoother surfaces. This diamond lapping film is excellent for sharpening and honing of hardened hand tools with a hardness of 60 HRC. The sheets can be easily cut with scissors and adhered to any suitable flat surface such as a plexiglass sheet, glass pane, stone, wood, etc. With the use of the sheets with a grain size of 30µ, the edges of chisels, plane blades and knives - whether carbon steel or alloy steel - can be very quickly ground. A very fine edge can then be produced using the sheets with a 9µ grain. With the Diamond Lapping Film, you can achieve results at least twice as quickly as you can with comparable grain size in the water stones or alumina abrasive sheets. In addition, the grain sizes of 80µ and 60µ are ideal for dressing water stones.